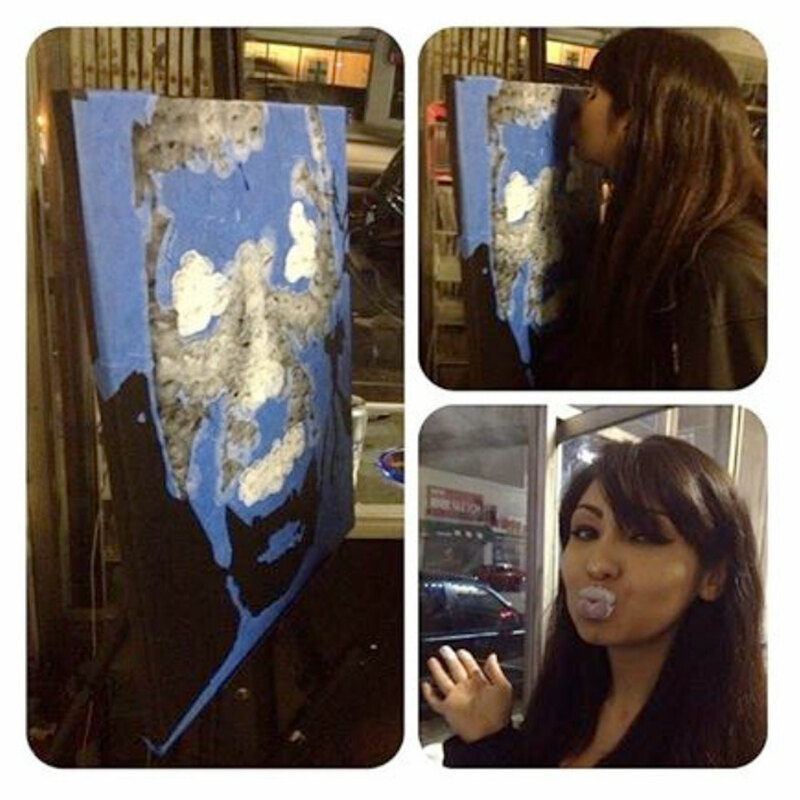 TAG Fatale is currently a LIVE Performance Kiss Painter in Hollywood, CA. Her paintings are made with Kisses. 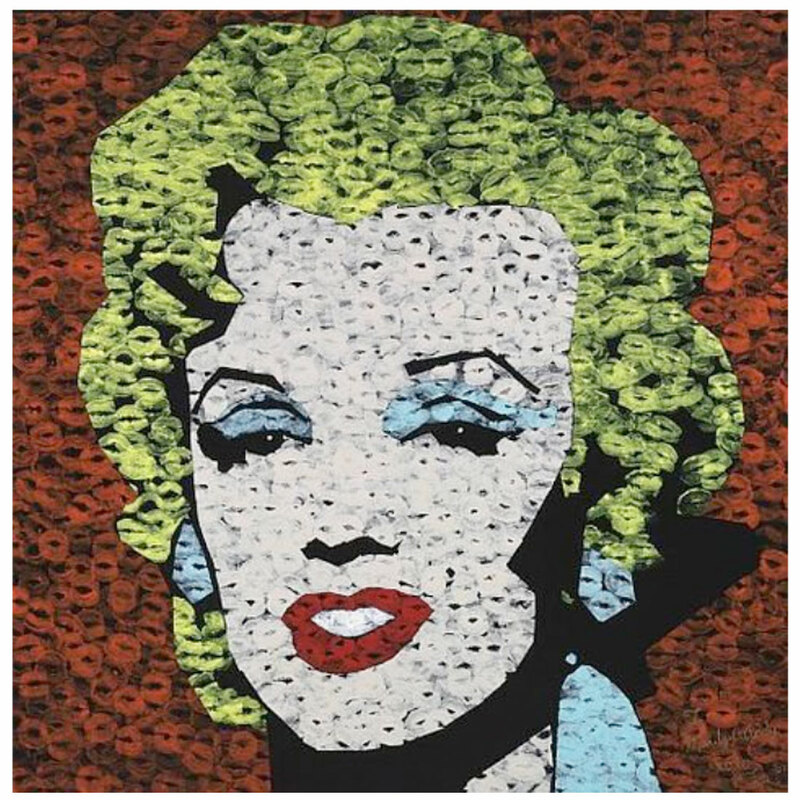 In a technique similar to pointillism, which she calls “Kiss-illism”, where paint is applied to her lips and then she kisses the canvas over and over, until an image is created out of negative space. TAG creates her one-of-a-kind Pop Art Kiss Paintings live at Hollywood Nightclubs, Galleries, Local Hot Spots and Red Carpet Events.Born in Glendale, CA, USA. She won her first art award at the age of seven and began to sign her artwork using only her initials “T.A.G.”. Her Father is a Native American Artist and her Mother is a retired Los Angeles Advertising Artist. She grew up assisting both her parents in many different mediums and participating in their Projects.Winning many awards throughout her grade school education in Art, Photography, Graphic Design and Desktop Publish. After High School she backpacked Eastern Australia with other artists from her High School Art program. TAG was awarded a Dumont Art Scholarship in College and holds a degree in Art History. In College she joined an Artist Illustration Guild, where she was given the nickname “The Femme Fatale”. While in College TAG protested a poor grade in her basic painting class by painting her bum and sitting on a canvas. The professor was amused and agreed to change the grade if she made a series of four sarcastic body art paintings. The second canvas in the collection resembled a Japanese woodcut. Lips (kisses) were used for cherry blossoms and thus the “Kiss Art” was born. She was awarded a spot in the Student Art Show and a paid student internship with the college campus gallery, the Walter N. Marks Center for the Arts.TAG’s Kisses were professionally discovered in 2006 at a charity event for the Desert Aids Project in Palm Springs, CA where she donated her first all kissed painting of Marilyn Monroe to the silent art auction. She is one of three Artists given the Shiny Apple Award for participating in the Incredible Art Tour.After a messy divorce TAG moved back to Los Angeles where she was employed with an Art licensing company working with Disney, Lucasfilm, Fox, Microsoft & Warner Bros. In her free time she would LIVE Kiss Paint on the streets of Hollywood and present her work to galleries. Eventually she combined her initials “TAG” and her illustration nickname “Fatale” to become TAG Fatale, Mistress of the Kiss. 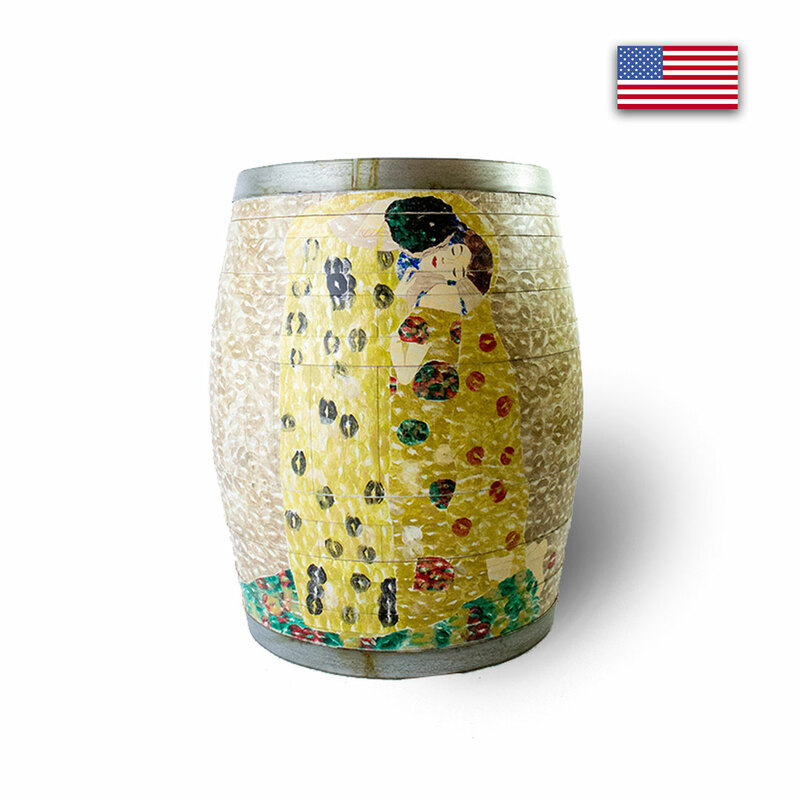 Mistress being the feminine form of Master and Kiss being her Artistic medium.TAG is recreating “The Kiss” By Gustav Klimt (1908-1909) for the BotArtist Barrel.